Boulder, CO, September 25, 2017 – Joshua Williams, age 16, of Miami Beach, Florida, has been named a national winner of the 2017 Gloria Barron Prize for Young Heroes. Each year, the Barron Prize celebrates 25 inspiring, public-spirited young people from across North America who have made a significant positive difference to people and the environment. Up to 20 top winners each receive a $5,000 cash award to support their service work or higher education. 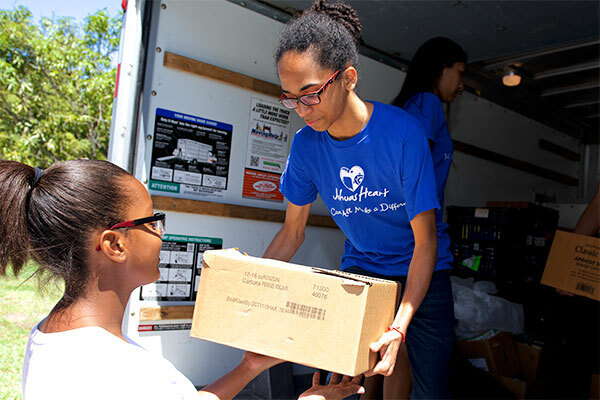 Joshua founded Joshua’s Heart Foundation, a non-profit that has distributed more than 1.5 million pounds of food to over 350,000 individuals in South Florida, Jamaica, Africa, India, and the Philippines. He has raised over $550,000 and forged partnerships with businesses including Walmart, Unilever, and TJ Maxx. In addition, he has rallied more than 12,500 youth and 3,500 adult volunteers to join his cause, and has created a Junior Advisory Board to help guide his organization and execute his programs. Cathy Callegari Public Relations, Inc.